Home - Which Bible Would Jesus Use? 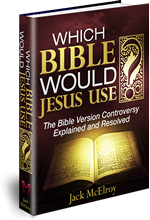 - Which Bible Would Jesus Use? Recently, author David W. Daniels from Chick Publications and I did this free video discussing the charge that King James Bible believers are church splitters. You’ll find our take on it interesting.